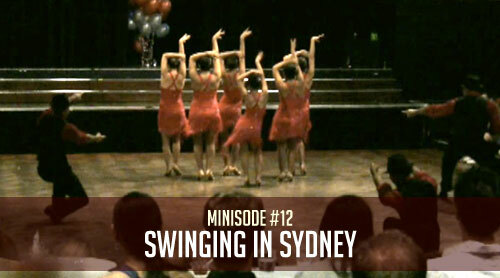 Sam and Mills dance it up with West Coast Swing superstars, Jordan and Tatiana in Sydney, Australia. Sam, I'm sorry but I laughed out loud at the punch line. Dude!! I am so totally jealous!! That looked sooo amazing. I love when they do those Jack and Jill, Jack and Jack, and Jill and Jill competitions. Before you, I had never even heard of Jordan and Tatiana. Now I'm a huge fan. Nice whips by the way! You've got great style. I'm really glad you got to meet some real superstars. You've been looking forward to that forever! What a great early bday present. Smooooooth dancing. You look so handsome...and happy. I'm glad you're having such a good time. Sam, you must be carrying your dance shoes with you? Nice video, looks like a good area for dancing. Do you also salsa dance? Er...did you post this video anywhere recently? Cos its being passed round the sydney dance crew and I'm getting recognised...by randomers!